It’s not often you see ice cream packaged in a mason jar. But what a difference it makes! These limited edition flavours for Fiasco Gelato (Chocolate Peppermint, Classic Eggnog, Cranberry & Pear and Sticky Toffee Pudding) are not just incredibly delicious-sounding, but also packaged beautifully. Each label design, by Ayra Peredo, features a recognisable Canadian animal that consumers can connect with along with the brand colours of Fiasco. Now if only we could get some of these to South Africa without the ice cream melting! This entry was posted in Design and tagged Design, Fiasco Gelato, Packaging on December 30, 2016 by stellenboschacademy. One doesn’t see the category of pet care products as a haven for smart design. More often than not, we can expect goofy / cutesy illustrations of dogs and cats and not much else. But this work by Mildred & Duck for Mr Paw takes those pet care design conventions and throws them all out the window. No illustration, no unnecessary colours – just plain minimal design that speak with confidence about the product within. To trot out the old cliche: Less really is more in this case! This entry was posted in Design and tagged Design, Mr Paw, Pet Products on December 29, 2016 by stellenboschacademy. The design for Rodnaya Priroda dairy products, a Russian brand, by BRANDEXPERT The Freedom Island takes homely design and illustration techniques that we all recognise from familiar crockery, then applies that same design to the brand’s packaging. We see gorgeous foliage, a butterfly and even a dragon fly on the packaging – something we may not expect to see on traditional dairy packaging. After seeing this though, how could you not reach out for a bottle and take it home? Regardless of what’s inside this packaging, it looks like it will not only taste great but also remind you of a time when things were just a little bit simpler and happier! This entry was posted in Design, Illustration and tagged Design, Illustration, Packaging, Rodnaya Priroda on December 28, 2016 by stellenboschacademy. The Pirelli calendar is always a highlight in the year for us photography fans and the sneak peek for 2017 was just released in video format. With a number of famous actresses and models like Julianne Moore, Lupita Nyongo and Penelope Cruz as subjects – this is going to be one of the best yet! This entry was posted in Photography and tagged photography, Pirelli Calendar, Video on December 26, 2016 by stellenboschacademy. Dola Sun is a freelance illustrator working in New York city, with a dreamy, textured style that we really love. Here, we’re sharing her work on the novel ‘Ferryman’, which was written by Claire McFall and published in China by BaiHuaZhou literature and Art Publishing House. This entry was posted in Illustration and tagged Dola Sun, Ferryman, Illustration on December 23, 2016 by stellenboschacademy. When you open Britain’s first restaurant dedicated entirely to crisps, you want your design to be as unique and memorable as your outlet. Here, Hipchips turned to Ragged Edge to give them an entirely modern look and feel that also calls back to traditional British design and typefaces. 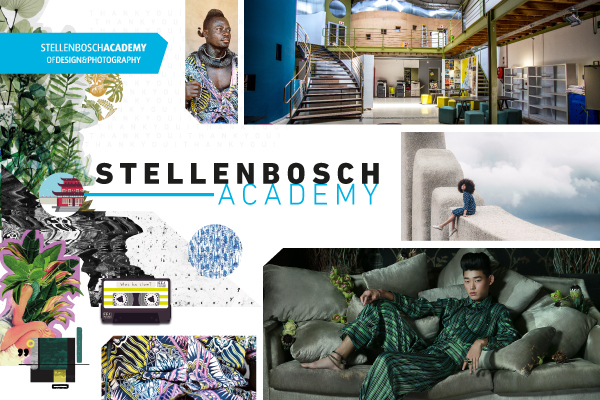 This entry was posted in Design and tagged Design, Hip Chips, Ragged Edge on December 22, 2016 by stellenboschacademy. What a fun experiment from Google! This AI learning program tasks you to draw specific doodles to see if an AI can figure out what you’re drawing before time runs out. And the most interesting thing – the more people play, the more the AI learns and the better it gets at recognising drawings! And this video below explains the entire project. This entry was posted in Multimedia and tagged AI, Doodles, Google Quick Draw, Multimedia on December 21, 2016 by stellenboschacademy.